Note: These regs are now 'final' as a permit has been issued. The SBD Motorsport UK HSA British Sprint Championship for 2019 will be organised by the HSA, with 18 events across the UK. The British and national championship titles are the most prestigious in UK motor sport and the British Sprint Championship is the premier Championship in the discipline of sprinting. 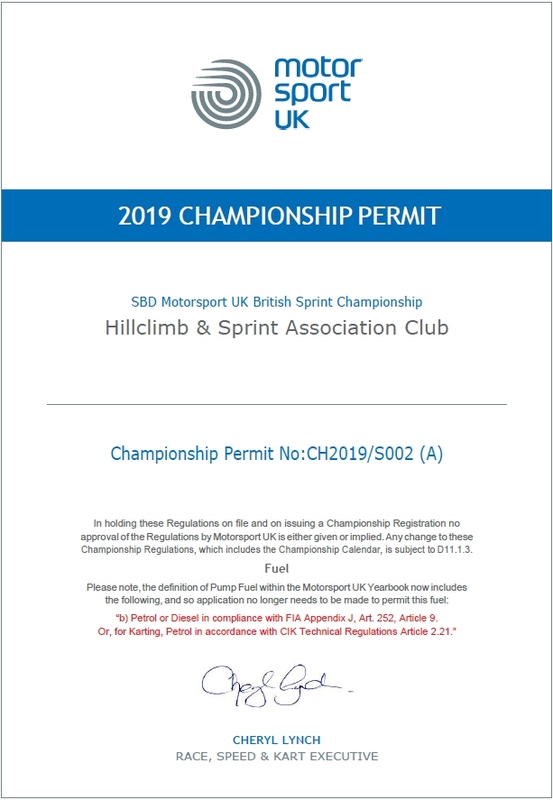 In order to compete in the 2019 British Sprint Championship, drivers and entrant/drivers must hold National A competition licences and must be paid up members of the Hillclimb and Sprint Association. 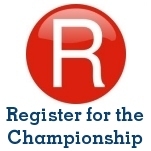 In addition, they must be registered for the Championship. For 2019 the Junior Challenge has been dropped and competitors interested in a 'lower key' entry into a National Sprint championship are invited to consider the SBD Motorsport UK HSA Sprint Leaders championship. 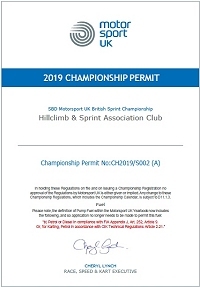 You may register for the 2019 SBD Motorsport UK HSA British Sprint Championship by filling out the registration form and sending with a cheque for £80, payable to the Hillclimb and Sprint Association Ltd, to the address noted on the entry form. Please ensure that your HSA membership is up to date or that your membership application has been submitted before registering for the Championship. Alternatively you can register on-line here and pay through PayPal using either your PayPal account or with your credit card. If you are paying by Paypal please remember to wait after you have clicked on 'Pay Now' until Paypal retuns you to the HSA web site and your registration number and details are displayed on screen. You will then be sent a confirmation email and your details will appear in the list of competitors. If you have difficulty in reading or printing these documents please contact the Championship co-ordinator. Details on the contacts page. 1. Overall. Scoring for the overall British Sprint Championship is based on the fastest time set by each competitor over two Top Twelve Run Off runs - 12 points down to 1 point. Bonus points are awarded for breaking Category (Class) records - up to 2 points in the Run Offs and 1 point in the timed runs. Qualifiers for the Run Offs are the twelve fastest registered competitors from the first two competitive runs at the event. 2. Foundation Cup. Open to competitors with lower capacity cars less than 2000cc and competitors who have not finished in the Top 12 of the Championship before, there is a trophy, The Foundation Cup, which runs alongside the British Sprint Championship. Points (12 down to 1) are awarded to the twelve fastest eligible competitors from the first two timed runs at the event. No bonus points are available. 3. Category awards. There are also Category (or Class) awards for Modified Production, Sports Libre as well as 1100cc, 1600cc, 2000cc, 1600cc forced induction car engine and unlimited capacity Racing Cars (see Classes). Points (50 down to 1) are awarded for the 50 fastest overall qualifiers from the first two timed runs at an event. Bonus points are available for breaking Category records in the timed runs. 4. The Britannia, Saxon and Celtic awards. Scoring for these trophies is based on events held throughout the UK, in England and in Wales/Scotland/N Ireland respectively. They are scored based on a competitor's best timed run compared to the relevant Category record. 5. Other awards. Finally, there are a number of further awards (including novice, lady and shared drive) and details of these can be found in the published regulations.